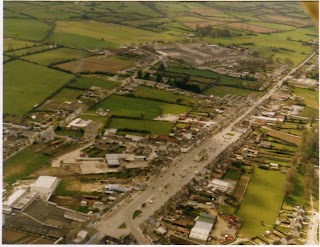 The second picture shows the central square of Templemore, with the barracks visible at the top. It was handed to me by John Walsh in July 1995. The first picture was sent to me in October 2008 by Jim O'Shea, Mayor of Templemore, following our group visit. 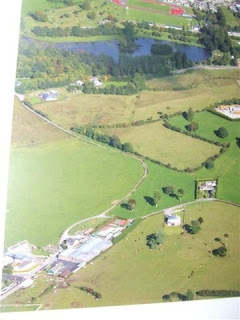 The site of Templemore Abbey is in the foreground, with the lake in the distance. Double click on a picture to enlarge it.